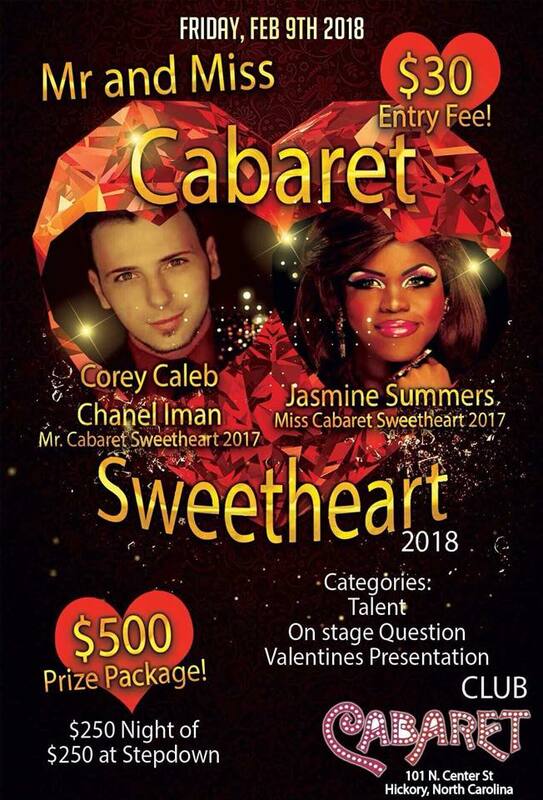 Miss Cabaret Sweetheart is a pageant held at Club Cabaret in Hickory, North Carolina and associated with Mr. Cabaret Sweetheart. 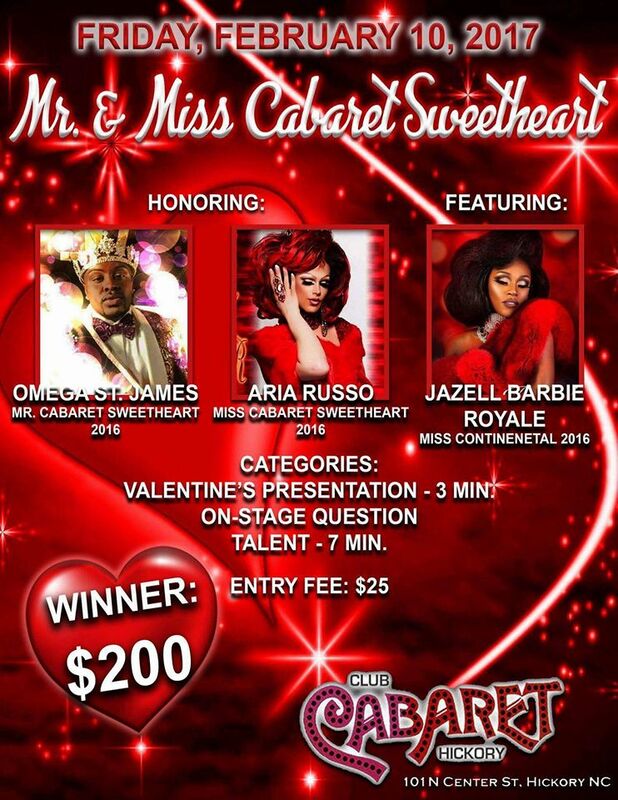 Mykel Knight-Addams Iman St. James (Mr. Cabaret Sweetheart 2018) lends a knee as Giselle Cassidy Carter is crowned Miss Cabaret Sweetheart 2018 at Club Cabaret in Hickory, North Carolina. 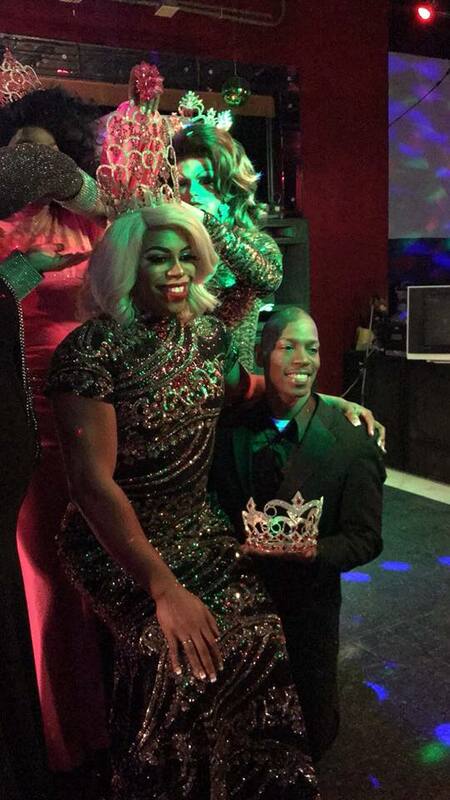 Cory Caleb Chanel Iman (Mr. Cabaret Sweetheart 2017) supports his queen Jasmine Summers (Miss Cabaret Sweetheart 2017) as she is crowned at Club Cabaret in Hickory, North Carolina. 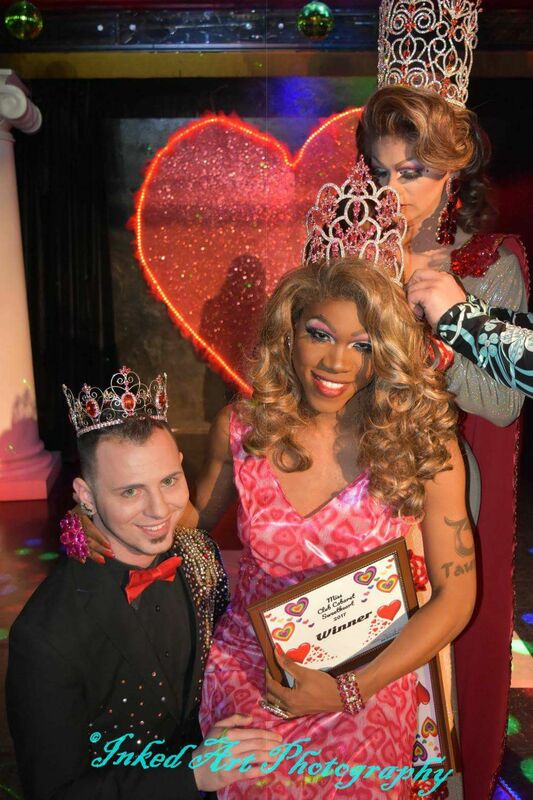 Photo by Inked Art Photography. 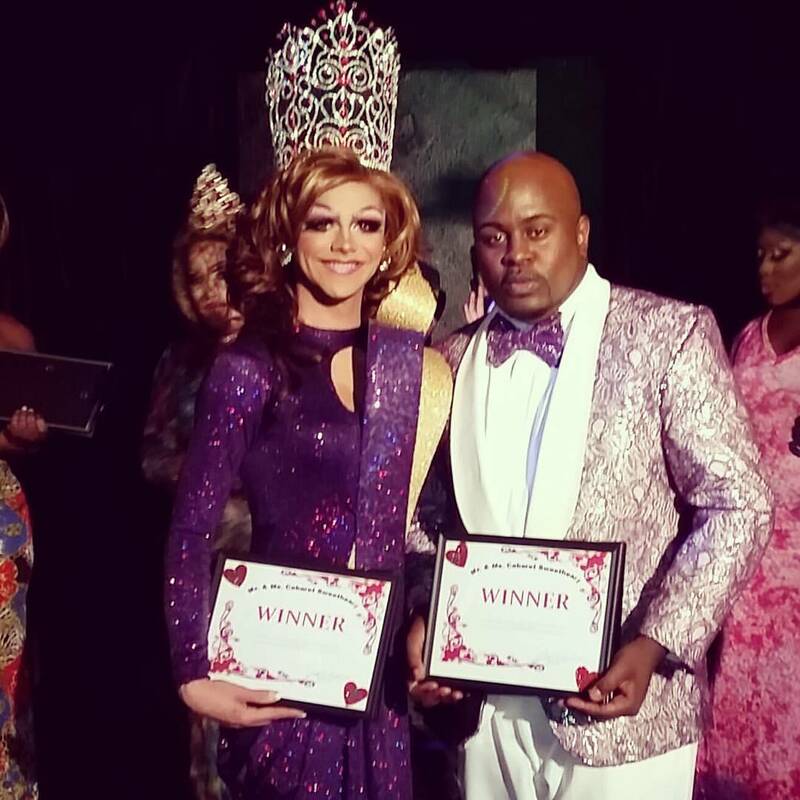 Aria Russo (Miss Cabaret Sweetheart 2016) and Omega St. James (Mr. Cabaret Sweetheart 2016) shortly after their wins at Club Cabaret in Hickory, North Carolina.